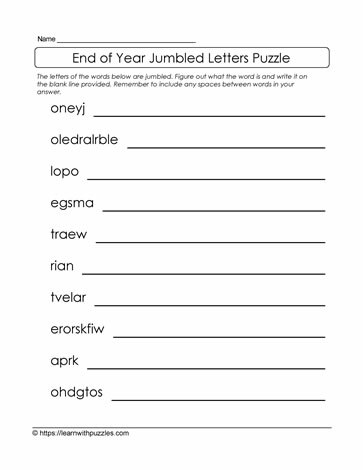 To solve this end of school year jumbled letters puzzle, kids need to unscramble the letters in the question to create a word, or group of words, related to the end of the school year. Solve the puzzle but first unjumbling the words with the least number of scrambled letters. Remember to include capital letters as needed and to leave spaces between words when there is more than one word.